Laura Barron says Mayo pediatrician Phil Fischer, M.D., and the pain rehab program saved her life. They also gave her life direction, as the one-time patient is now a medical student at Mayo. Laura Barron had turned into someone she didn't recognize. The social, active teen was so fatigued she needed help getting out of bed in the morning. She'd wake up nauseated, unable to eat. More days than not, Laura would crawl back into bed and sleep the day away. She'd given up swimming, a sport she loved. She'd missed over half of her sophomore year of high school, and even more of her junior year. And in spite of countless doctor's appointments and tests, no one could find the cause of her symptoms. The problem, they seemed to suggest, lay not in Laura's body, but in her mind. Then Laura met Phil Fischer, M.D., a pediatrician at Mayo Clinic's Rochester campus. "I walked into my first appointment and Dr. Fischer said, 'I believe you,'" Laura tells us. "That was life-changing for me to feel I had someone on my health care team fighting for me." Dr. Fischer told Laura he suspected she had postural orthostatic tachycardia syndrome, or POTS. By the end of the week, he'd confirm the diagnosis. "I'd waited a year and a half for that," Laura says. Dr. Fischer prescribed a beta blocker and recommended Laura follow a strict sleep and exercise schedule. The treatment was initially effective, but a few months later Laura got sick, which triggered a return of her POTS symptoms — a common but frustrating scenario for many who have the condition. "It was not the quality of life I wanted to live," she tells us. Left to right are Shona, Laura and Greg Barron. So she came back to Mayo Clinic — this time, to the pediatric pain rehabilitation program in the Pain Rehabilitation Center. The three-week program for teens and their parents includes physical, occupational and recreational therapy, as well as group therapy and lectures on stress management. Around 30 percent of the program's participants are POTS patients, who learn techniques to help manage their symptoms. "It was the toughest three weeks I ever went through," Laura says. "But they taught me how to live again, how to be a normal kid again. They gave me hope that there was still a life for me." After completing the program, Laura returned to her hometown of Racine, Wisconsin, to finish high school. "After the program, I didn't miss a single day of school," Laura says. She graduated third in her class, enrolled at Marquette University, and began to think about life after college. 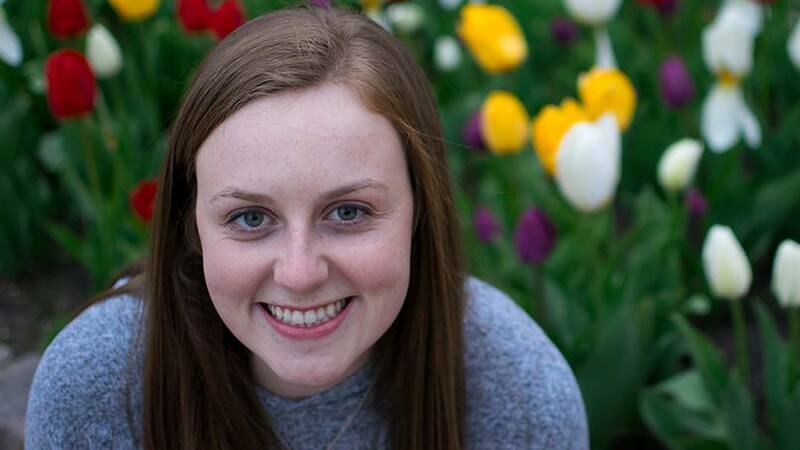 "I was blown away by the level of care and support my family and I had received at Mayo, and decided that I wanted to be that for someone else," Laura tells us. "I thought I could make an impact and relate to patients and their families. I wanted to become the doctor I had needed, the doctor I had at Mayo." 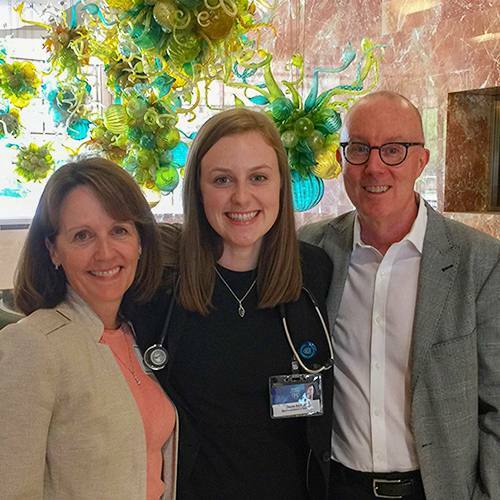 So when it came time to apply to medical school, Mayo Clinic School of Medicine was at the top of Laura's list. "I wanted to learn from the best, from people I'd trust with my family members," she says. When she came to Mayo for an interview, she was surprised to see a familiar face. "Dr. Fischer was the first person I interviewed with," she says. "I was stunned. I hadn't seen him in five years. It was amazing to be able to tell him what an impact he'd had on my life." And a few months later, it was Dr. Fischer who called to let Laura know she'd been accepted to the program. "I really believe Dr. Fischer and the pain rehabilitation program saved my life," says Laura, now a first-year medical student at Mayo. "It's scary for me to think about what might have happened if I hadn't come to Mayo." You can learn more about Mayo's pediatric pain rehabilitation program here. Then head over to leave a comment below before using the handy social media tools atop this page to share this story with others. Check out Mayo Clinic Children's Center. Very proud of you Laura!!!! Thank you to Mayo for inspiring my niece!